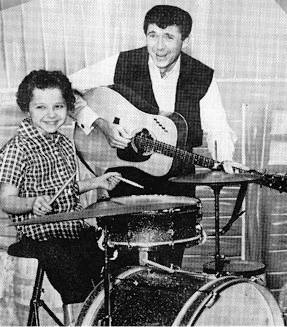 After returning from Korea, Sonny & roommate Chet Atkins begin spending time playing instruments and sharing songs. 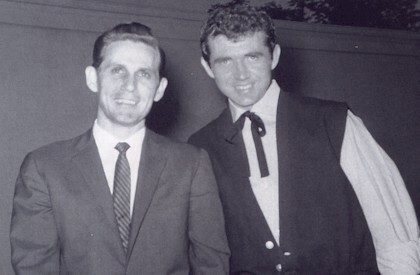 Chet soon introduces Sonny to Capitol Records producer Ken Nelson. 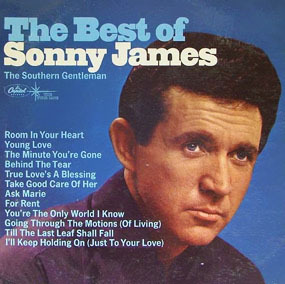 As with many young careers, the 1950’s offer a series of hits and misses while others frequently cover Sonny’s original recordings. 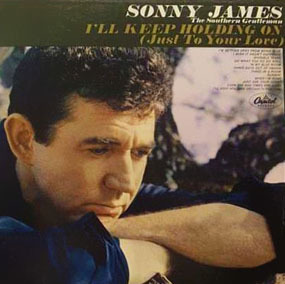 Although the early ’50s will be a time of great learning, Sonny will end this decade as a nationally recognized recording star on the brink of his journey to becoming one of the most played artists of all time. 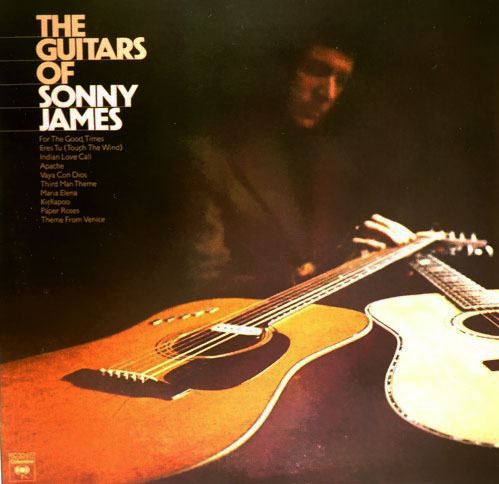 Ex-room mate and good friend Chet Atkins was instrumental in Sonny’s first recording contract. 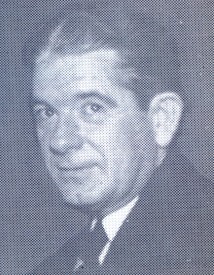 Ken Nelson directed James’s entire successful career at Capitol Records. 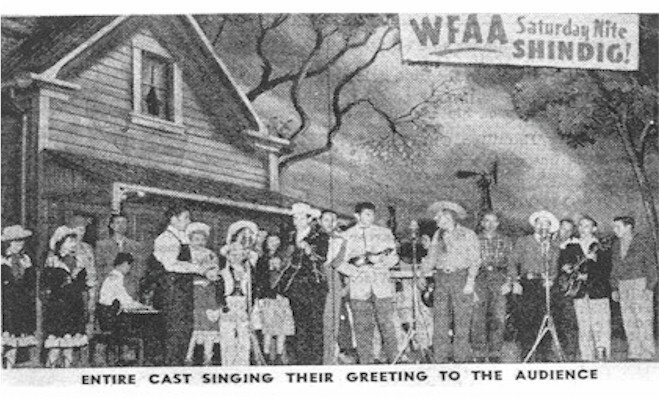 WFAA Saturday Night Shindig, Dallas, Texas. 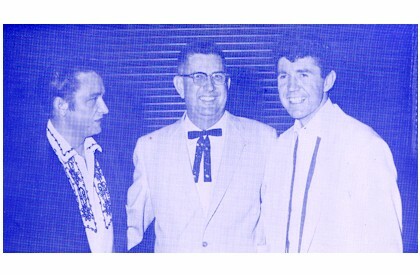 With touring artists Harland Powell and Neal Jones. 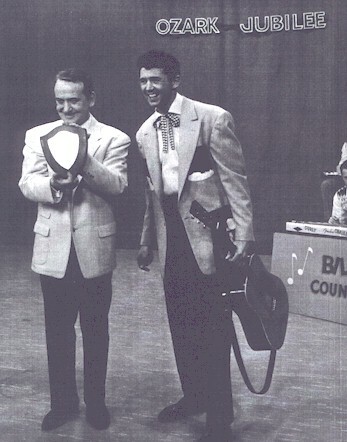 Big D Jamboree in Dallas Texas - 1955. 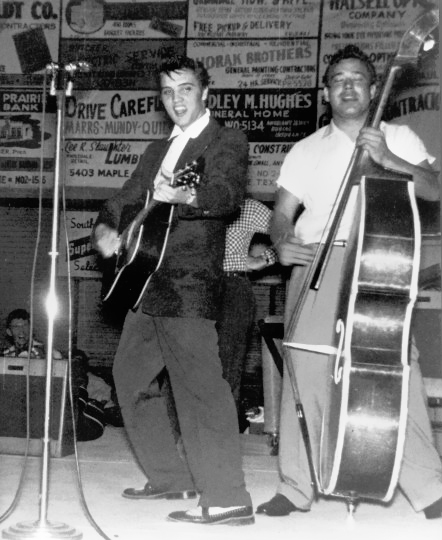 Elvis on stage performing while Sonny sits behind the stage (see lower left) before both careers of Sonny & Elvis took off. 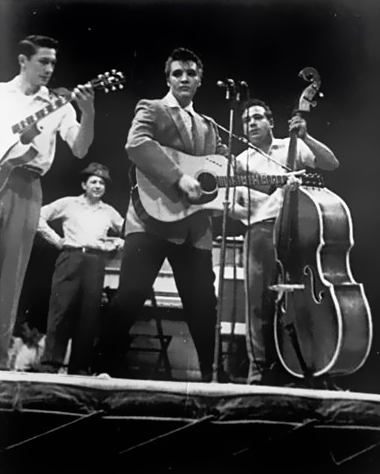 During this era, both Sonny and Elvis shared numerous stages together. 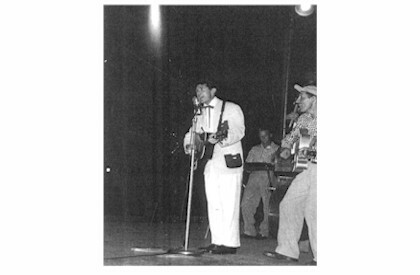 In this photo from 1955, Sonny's trademark Martin guitar with his name on it was borrowed and played by Elvis for this performance. 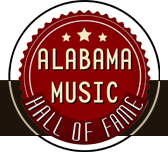 An amazing time in music history. 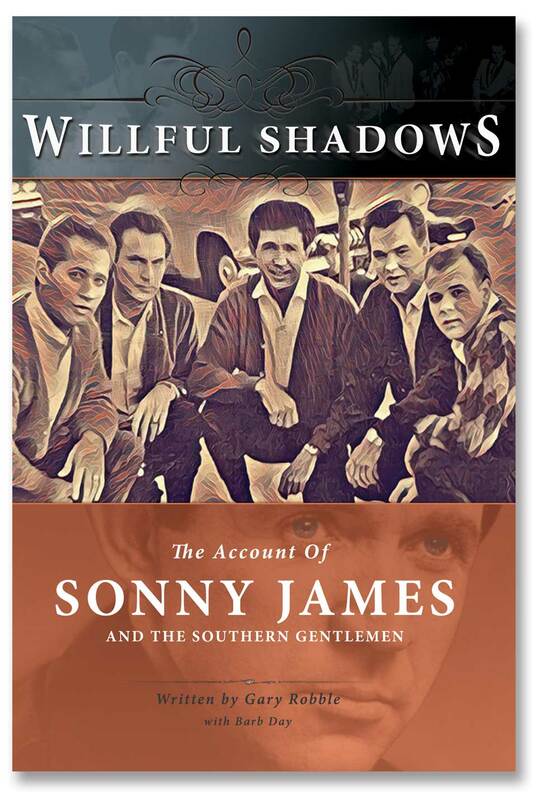 You could see Sonny James and The Everly Brothers at the Melody Mill. 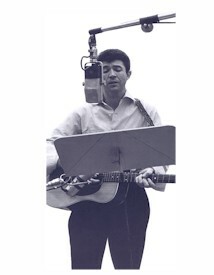 Sonny in recording studio. 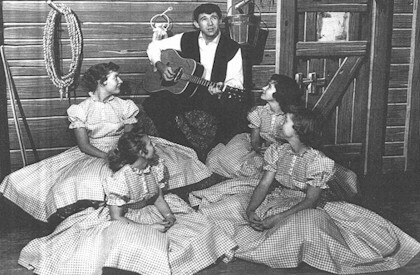 "For Rent", a popular recording released in 1956. 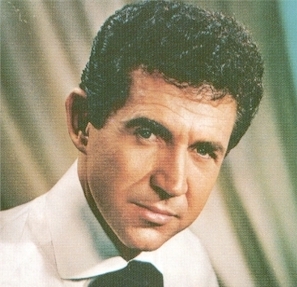 The Ozark Jubilee - ABC’s live television show every Saturday night gave national exposure for both Brenda Lee and Sonny. A familiar scene for Ozark Jubilee viewers. 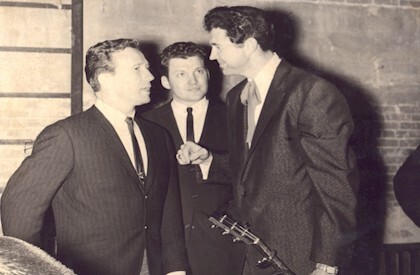 Pictured to his left nearest to Sonny is friend Jean Graham and other members of the L.D. Keller Promenaders. 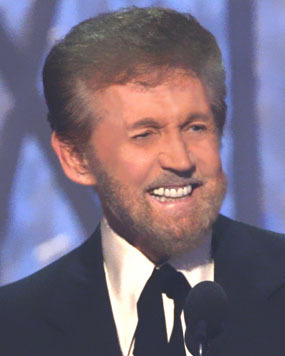 Jubilee host Red Foley presenting James with leading male vocalist award. 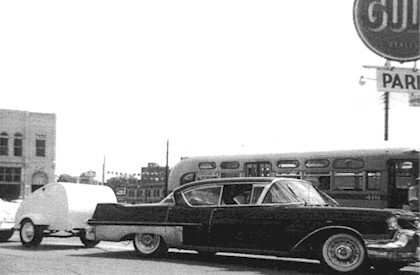 Transportation for some of the first tours. 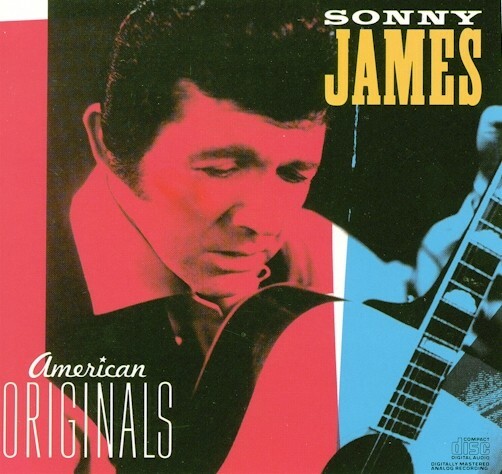 One of the most powerful packages to hit the road were Sonny James and Marty Robbins. 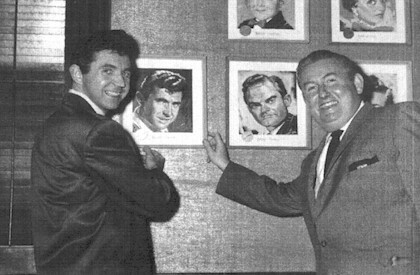 Pictured here with radio station owner, Gaylon Christie. 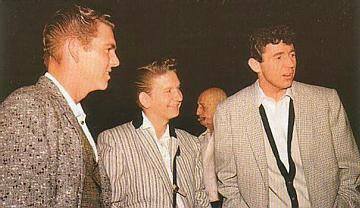 Sonny with Roy Orbison and to the left is Stanford Clark. 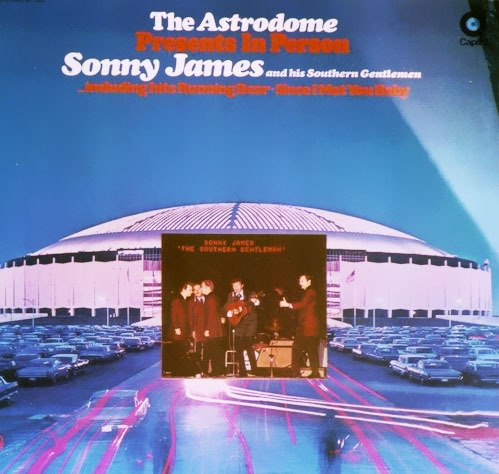 Sonny’s first managers were Ed McLemore and Ed Watt, Dallas, Texas. 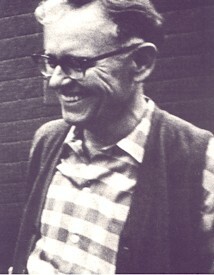 Both were actively involved in guiding his early career until Mr. McLemore passed away. 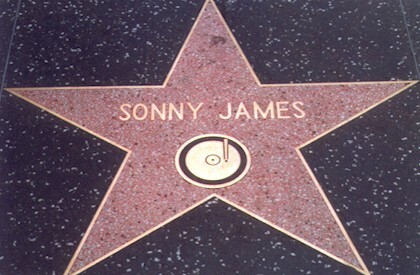 In 1961 he became the first country artist (recording division) to be honored with a star in the prestigious Hollywood Walk of Fame (located across from Grauman’s Chinese Theatre (6628-6636). 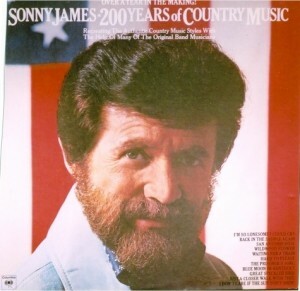 Another powerhouse tour for the United States and Canada were Johnny Cash and Sonny James. Dave Stone a friend is here with the duo. 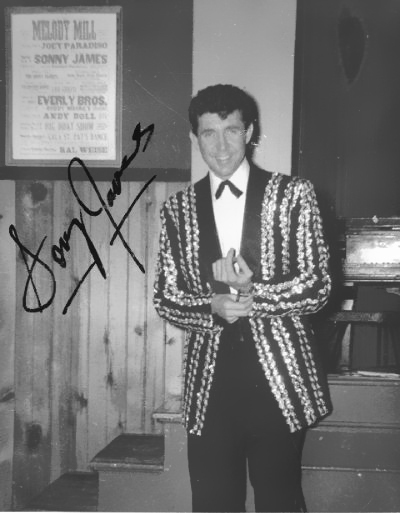 Publisher and personal friend Bill Lowery points to photo honoring Sonny in the famous Brown Derby in Hollywood. 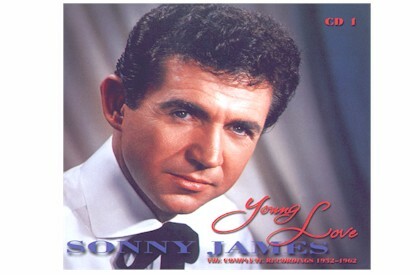 This is the man who brought the song “Young Love” to Ken Nelson for James to record. 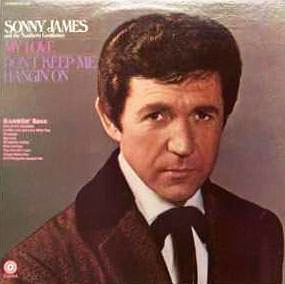 After adding his vocal style, his guitar and counter-rhythm male voices, the song came alive and would eventually be known as Sonny James signature song. 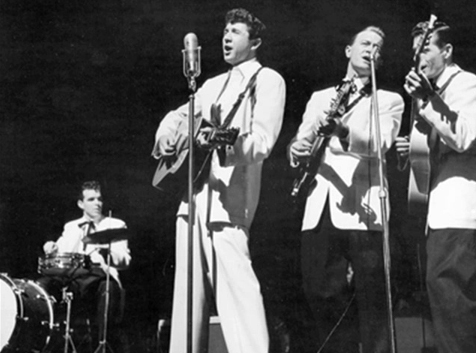 1957 - Sonny James and his Southern Gentleman at the famous Palace Theatre on Broadway, New York City. 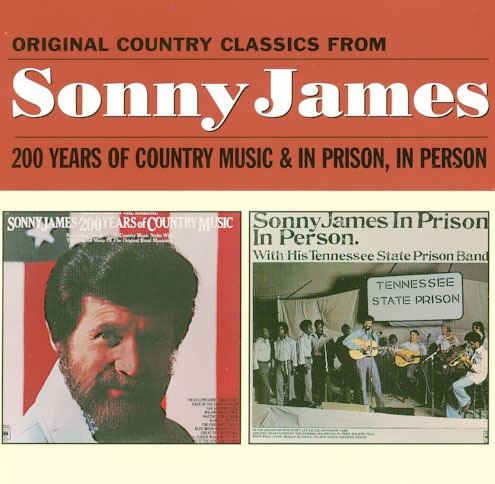 Dude Kahn, drums – Sonny – Harland Powell, Bass – Gene Stewart on guitar.